Great managers know that every employee is different. They’re adept at figuring out who will excel in which roles. They further their keep by bringing out the best in every member of their team and ensuring that projects under their supervision get done on time, under budget, and beyond expectations. Put another way, it’s important for company leaders to be just that: leaders. 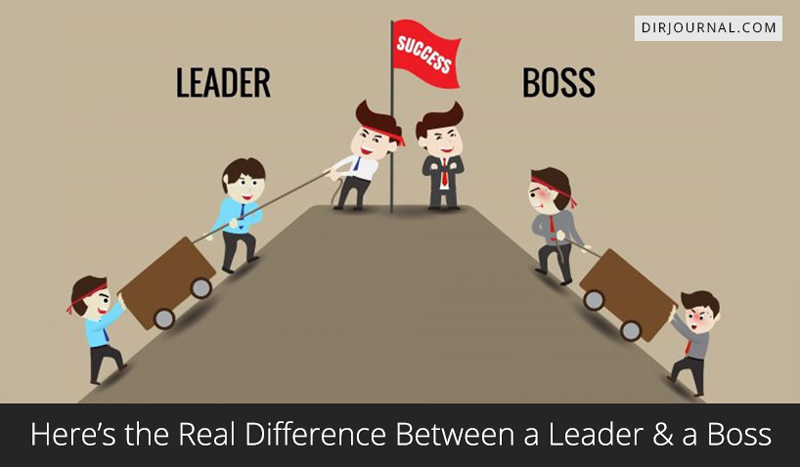 Here’s what you need to know about the difference between a regular boss and a true leader. Great leaders make it easy for every member of their team to excel. While they need to be clear-eyed about each employee’s strengths and weaknesses, they resist the temptation to fit them into neat little boxes and refrain from challenging them outside those restrictive silos. Instead, they start with the simple proposition that everyone has a powerful reserve of untapped potential, and make it their mission to exploit each and every one to the fullest. Great leaders don’t hide behind formality — or the walls of their corner offices. Even when it’s not efficient or convenient, they maintain reasonable open-door policies with employees at every level of the organization, knowing and trusting that they’ll be mature enough not to abuse the privilege. Sometimes, the perception of openness is all that’s needed to change the culture, even if it’s not drawn out to its logical conclusion. Leaders know that they’re fallible. They might know more than the entry-level data entry guy down the bullpen, but they don’t pretend to have all the answers. More importantly, they know in their hearts that they can’t have all the answers, no matter how long they play the game. They’re always open to new perspectives and approaches — and they never shut employees down for suggesting them. This one circles back to the “liked or respected” dichotomy. Great leaders know that it’s possible to be respected and liked, but that the former always takes precedence over the latter. They therefore know that they need to establish strict boundaries between themselves and their subordinates — or, more accurately, between their professional and personal selves. At the same time, they’re socially savvy enough to know how to maintain those boundaries without coming off as cold or inhuman. The best way to become a good boss is to learn from a good boss. If you’re climbing the corporate ladder in traditional fashion, that shouldn’t be too much of a stretch. Most rising corporate stars have a ready supply of patient mentors willing to take promising subordinates under their wings. If you’re taking a nontraditional path, perhaps as the founder of your own startup, finding a mentor might be more challenging. You’ll need to join entrepreneurship groups, take university-level business classes, and actively seek out more experienced founders and startup execs in your field. Always remember the old cliche: your network is your net worth. This comparison between a boss and a leader has never seemed more relevant, in light of Trump going to Louisiana.